General TV Channel / UΛ: Crimea is a satellite television channel of Ukraine's public broadcaster. It broadcasts 24/7 in Ukrainian, Russian and Crimean Tatar. Main audience is Crimea residents, internally displaced people and all viewers who are interested in Crimea and live in Ukraine and around the globe. 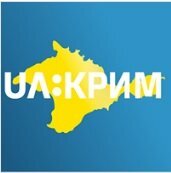 We broadcast the best programs of Ukraine's public broadcaster and of the UΛ: Crimea production department.